Saraswati…the Hindu Goddess of Creativity, Knowledge, Music and Speech. Saraswati inspires us to step forward with new creative projects, learning ventures and in expressing ourselves. In this workshop we’ll explore the creative inspiration that comes from Saraswati. Is there a new project on the horizon for you? What is wanting to be birthed this spring? Tap into the creative energy of Saraswati through music, movement, meditation and chanting. Nourish yourself and connect with your inner goddess! This event is part of the monthly Goddess Workshops at Wildflowers Farm - explore a different Goddess each month! Learn what each Goddess represents, and how to weave Her energy and teachings into your life through movement, mantra, live music, stories and meditation. Mahadevi is a London Kirtan band consisting of Rachel McGarry and Karyn Austin. Together, they combine modern musical styles with traditional mantras that date back thousands of years. Kirtan is a magical journey and no experience is necessary. Please join us as we unite our voices and hearts in song. Pre-register at mahadevi@rogers.com or click link below! Come celebrate at the Songs for Savasana Album Release party! We are thrilled to be able to play live the beautiful songs from the album. Prepare for a night of relaxation and sweet soothing sounds…and of course, CELEBRATION!!! Jane Magri, Registered Clinical Herbalist (RH) Ayurvedic Yoga Teacher (RYT500) and co-owner of Wildflowers Farm. Rachel McGarry, Kirtan Artist, Yoga Teacher (CYA-RYT 550) and owner of Sanctuary.is. $25 admission registration will open soon! 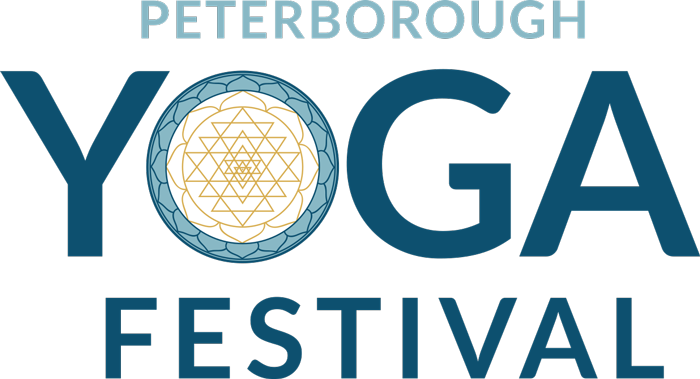 Mahadevi is playing at the Peterborough Yoga Festival!!! Save the date, Saturday June 22, 2019! A magical day filled with yoga, friendly farm animals, one of a kind vendors and much more! Save the date, Mahadevi is hosting a Kirtan… stay tuned for the time! Mahadevi is hosting a Bhakti Specialty Class AND leading a mini-Kirtan at the London Yoga Festival! Save the date, Saturday September 21, 2019! Join us as we gather together in celebration of the first day of spring, known as the Spring Equinox, festival of balance and awakening! Everything is nature is coming alive, and it is this time of year to throw off the restraints of winter and reach out for what we want and journey forth! We will be setting intentions in ceremony, mantra, yoga, meditation + live music. Join us if you are called, for an evening filled with love + light. //Jane Magri is a Registered Clinical Herbalist (RH) Ayurvedic Yoga Teacher (RYT500) and co-owner of Wildflowers Farm. Jane combines her love of local herbalism with eastern philosophies to create a unique blend which celebrates natures rhythms. //Rachel McGarry is a Kirtan Artist, Yoga Teacher (CYA-RYT 550) and owner of Sanctuary.is. Rachel combines her love for devotional music and yoga to offer yoga classes that nourish, inspire and guide you home to yourself. //Jennifer is a Therapeutic Yoga Practitioner, Meditation Facilitator, Reiki Master & Healthcare Professional.She is passionate about helping others truly connect to their body. Come out to support Rachel McGarry’s Kickstarter campaign for her debut album : : Songs for Savasana : : …and experience a sneak peek of the songs live during an extra long savasana! Guests will receive a digital or CD copy of the album when it is released!!! The monthly Goddess Workshops are now at Rebirth Wellness Centre in downtown London!!! Explore a different Goddess each month! Learn what the Goddess represents, and how to weave Her energy and teachings into your life through movement, mantra, live music, stories and meditation. This month we will explore the qualities of the Hindu Goddess Lakshmi, the Goddess of Abundance. She helps us to recognize the abundance that exists in our lives, the importance of balancing giving and receiving, and how to recognize our own worthiness to receive blessings. Join us to explore a gentle, nourishing yoga practice that honours the body and celebrates the Divine Feminine within each of us! Aphrodite…Greek Goddess of Love Aphrodite teaches us that the way we can truly embrace self-love is through our senses. Enjoy the absolute pleasure of being in your physical body. Reclaim your sensuality, strength and powerful feminine nature through breath, movement, music and meditation. Nourish yourself and connect with your inner goddess! Mahadevi Kirtan and Kickstarter Campaign Official Launch!!! Special treat this month! We will be offering an extra long savasana with a preview of some of the songs from my new album Songs for Savasana, performed LIVE!!! It is also the official kick off to my crowdfunding campaign. Check out the Kickstarter campaign here. Sacred Soul Food Retreat was created by three souls who wanted to offer a container, a space to nourish, ignite and heal. Through their own journeys of seeking, they want to give back, inspire and empower those who too are desiring to find peace and solace, by offering a full day retreat at Wildflowers Farm. From gentle yoga, meditation, introspection, reflection, to working with healing botanicals and astrology, this day is full of connection + compassion, movement + music. Every detail is curated with love, including the most decadent plant based meals (breakfast, lunch, snacks) provided by Yodas kitchen. Be prepared to feel the love and warmth with their second instalment themed around self love + compassion to re-set for 2019! Experience a relaxing evening of yoga, meditation and sound. Gentle yoga stretches prepare the body for meditation and for receiving the healing vibrations of a journey through sound. Experience a relaxing afternoon of yoga, meditation and a sound bath. Gentle yoga stretches prepare the body for meditation and for receiving the healing vibrations of a journey through sound. Nature's rhythm begins to wane as we enter into the darker months, and so too does our internal environment. We all know this feeling on some level; a slowing down, a call to start to turn inwards, to our own internal flame to carry the light. Wildflowers Farm has teamed up with Lisa Lopes from Nine of Water, and Rachel McGarry of Sanctuary to curate a full day to ignite, heal and awaken the divine within. Surrounded by the beautiful landscape of Wildflowers Farm, and encircled with love within the walls, we will be offering yoga, astrology/intuitive read for the remaining 2018 year along with a take home personal chart. , Ayurveda teachings, sound healing and the most decadent food curated by Yoda’s kitchen. This is a day to nourish, re-connect and be immersed in Sacred Soul Food. Come out to North Yoga & Wellness for an evening of Kundalini Yoga led by Vladimir Diaz with live music provided by Mahadevi. After the yoga class we will enjoy chanting together in a mini-kirtan. This is an incredible combo and makes for a blissful evening! If you haven’t tried either of these offerings before, this is a beautiful experience of both! Come out to North Yoga & Wellness for an evening of Kundalini Yoga led by Vladimir with live music provided by Mahadevi. After the yoga class we will enjoy chanting together in a mini-kirtan. This is an incredible combo and makes for a blissful evening! Tickets are $20 at the door - cash only please. Entry also includes a FREE Curley's coffee on a future visit and admission to the Kirtan by Mahadevi. Do you give a cluck? Come out and show your support on Sunday July 22nd for a fun-filled fundraiser event hosted by Curley Brewing Company!! All are welcome! Join us for an evening of amazing vegan food, uplifting live music, silent auction and more! All proceeds go to London Chicken Save. Experience a relaxing evening of yoga, meditation and sound.